Vanamo Deco Cosmetic Bag come in two sizes. The large bag measures about 19cm (height) x 27cm (width) and it is useful for example a wash-bag. The small cosmetic bag is 8cm (height) x 10cm (width) x 20cm (length) It's perfect for example as make-up bag. 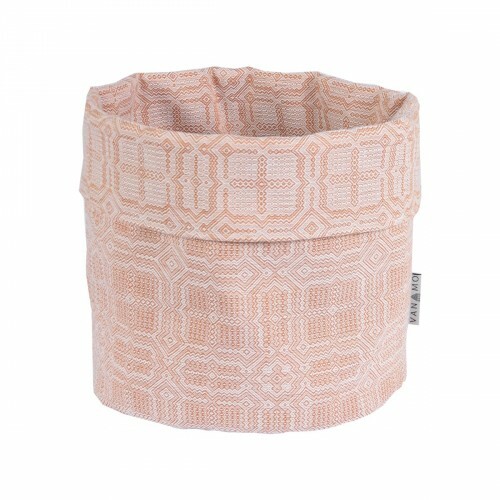 Kuura basket is made from Vanamo Deco's Kide fabric. 45% organic cotton and 55% linen (Masters ..